I was speaking with Gwen in Connecticut about setting up user accounts in SpendMap for 20 or 30 of her staff. 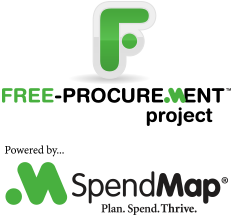 Gwen wondered if there was a way in SpendMap to only display information on each user’s own Requisitions and Purchase Orders but not orders that the other staff had placed. While it’s common for managers/approvers to have visibility over an entire department or across a division, sometimes policy requires a more restricted view at the end-user (requisitioner) level, while sometimes document level filters are put in place just for ease of use (e.g. to simplify searches). 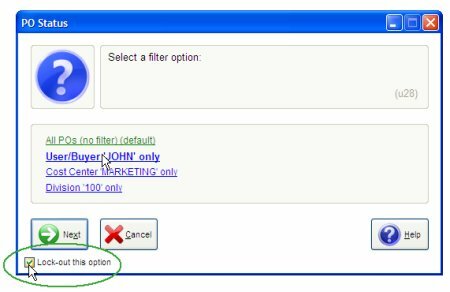 You can limit the scope of documents that each user will have access to by locking the document filter option on the way into View PO Status, View Requisition Status, the Receiving utility, etc. If the user will need access to all documents within their cost center, you can specify their default cost center in the [Settings] folder of the User Master File. On a related note, there’s also a setting in PO Processing Settings to hide pricing (dollar amounts) in these areas in case your pricing information is confidential but you need users to view other people’s orders, which is not uncommon in some central Receiving and Accounts Payable environments. TIP: Use your Testing System to play around with this stuff without fear of messing up your Live System. When you run the Testing System, it will give you an opportunity to copy your Live System’s data into the Test System, including all the user accounts, settings, etc. ← Free Webinars for your free Purchase Order Software?